Our cistern went dry yesterday, very unexpectedly. We're still waiting to find out if we just "lost" 24K gallons of water in a month (we did have some new plumbing put in, so that might explain the missing water), or if there's something wrong with the cistern itself. Boo. Anyway, my dad, who fills our cistern, kind of flipped out when we called to tell him we were out of agua. It's an ongoing issue... My parents, my dad in particular, suffer from what I like to call "famine mentality," and it appears to be hereditary. To be fair, my parents have NO IDEA what it means to live in a household of 10 people. (I'm an only child.) When I try to explain our weekly grocery budget, or WHY we have 8-10 loads of laundry every week, they look...befuddled. One of my childhood memories involves the time I accidentally left my baseboard heater on in my bedroom one day when I went to school. Not only was my room ROASTING when I got home, I was in deep weeds with my padre for wasting all that money. I didn't realize how much of an effect that mindset had on my life until I moved out and became responsible for my own household... I had a reminder today, when I got an email from our Internet provider notifying me that we've already used 75% of our monthly download allowance, with three weeks left to go in the billing cycle. I had the same automatic reaction my father had to our empty cistern... Interrogate!!! 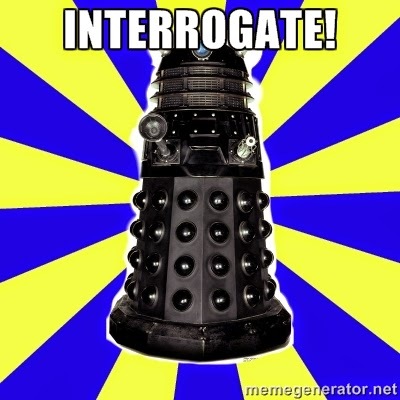 Interrogate!!! My daughter and son-in-law (initial victims of my interrogation techniques) were quick to point out the similarity of my reaction to our Internet usage to my papa's reaction to our water consumption. Ouch. So where does the "never enough" famine mentality come from? I'm blaming my genes. Recent studies have shown that our DNA is affected, even changed, by the lives of our ancestors. I can claim direct lineage (on my father's side) to one of George Washington's quartermaster generals from the Valley Forge period of the Revolutionary War. Quartermasters were responsible for doling out supplies to the troops. 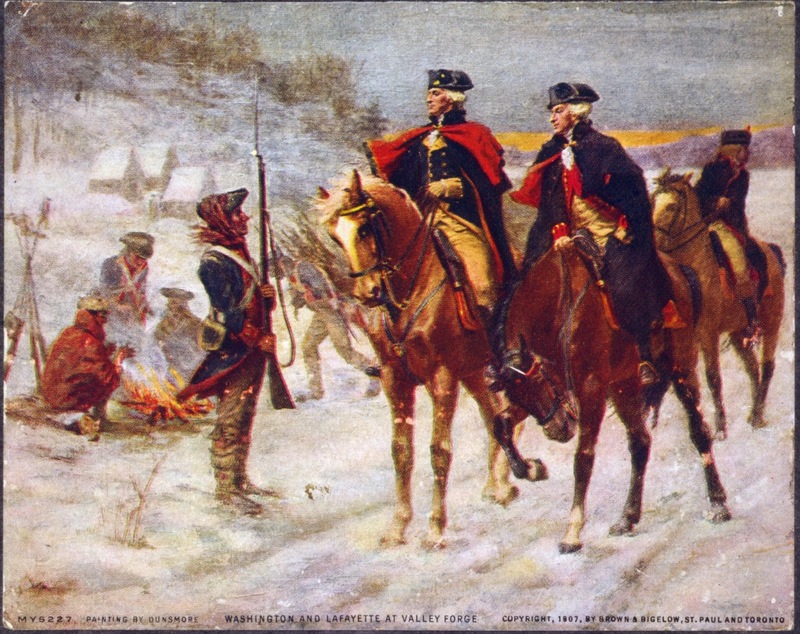 Can you even begin to imagine the stress involved in being a quartermaster for the patriots during Valley Forge? Seriously, I think that's where my famine mentality springs from. So, while I firmly believe in conservation and the ethics of frugality, I think I need to check my motives. Am I being thrifty in consumption because I want to reduce our environmental footprint and limit our consumption of non-sustainable goods, or am I being thrifty because I'm deeply, DNA-level terrified there won't be enough to go around? One is OK, the other is not, because one is based on fear, and that's never a good motive. Holey Underwear, or HOLY underwear?